You went through the daunting process of creating a website. You worked through a site outline, designs, working prototypes and content creation. The website went live and the project is completed. Or is it? How it’s always been done. There is a prevailing school of thought by businesses that websites are finite projects. Meaning, there is a beginning and an end. But what if I told you that your website actually serves your organization better if it is considered an organic project, ongoing? Think about it, we pick up so much of our marketing strategy from the world of print. You design a brochure, get it printed and delivered. Out of sight, out of mind. Web is not like print because it has the amazing capability to be ever changing, evolving and improving. It is a living and breathing document and I’d bet you have a substantial audience that is looking at it daily. DAILY!!! 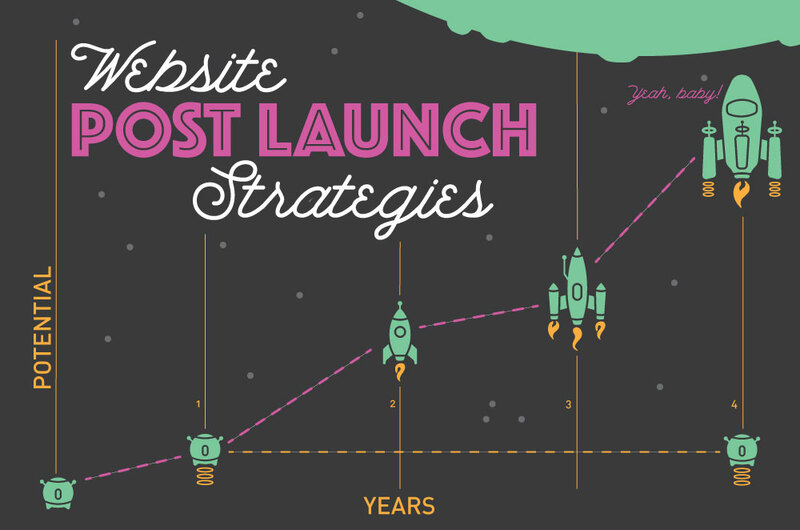 How can you capitalize on the potential of your website after you’ve launched it? We think that with a well planned set of goals and a flexible budget you can maximize on the advantages your website can lend. Let me challenge the common school of thought on website project. Website project “every” 4 years. Build a website, perform minimal content changes to keep the site accurate for four years, then start all over with a fresh design and maybe a new approach. Website project “over” 4 years. Build a website and immediately implement yearly strategies and goals for the website. Four years later, your website is just as contemporary as the day it launched, it’s kept up with technology, you have addressed all the feedback from four years of user testing, and your message has matured to the point it is converting visitors into solid leads. So what does this approach look like and how can it be done? I will say, it requires your vision for the website to be fluid and big picture. It also requires your view of the website to be a value rather than a cost. It is an amazing flexible tool that leverages so many components to achieve a multitude of goals. The website at it’s initial launch is considered a starting point and not an end in itself. After the website launch, establish ways to gather data about the audience and usage of the website. Set a date within 6 month to a year of the site’s launch to review data and create a strategy for moving into the following year. Establish desirable and reasonable outcomes. Prioritize goals that meet those outcomes to fit within an achievable timeline and budget. Set a schedule to implement the improvements and changes. The long term approach has the amazing ability to educate you about your audience. There is a wealth of opportunity to engage your customers while keeping them interested in your message. It is purpose driven the entire time and shows your audience you are thinking about them in tangible and specific ways. Come talk to us and let us help you with your website future. We’re your premier Lubbock web design studio.